This 18K gold plated ring 'Delilah' with teardrop turquoise stone is one of our favourite statement rings. It's bold, yet whimsical, ready for your everyday adventures and has an adjustable size. Read more.. 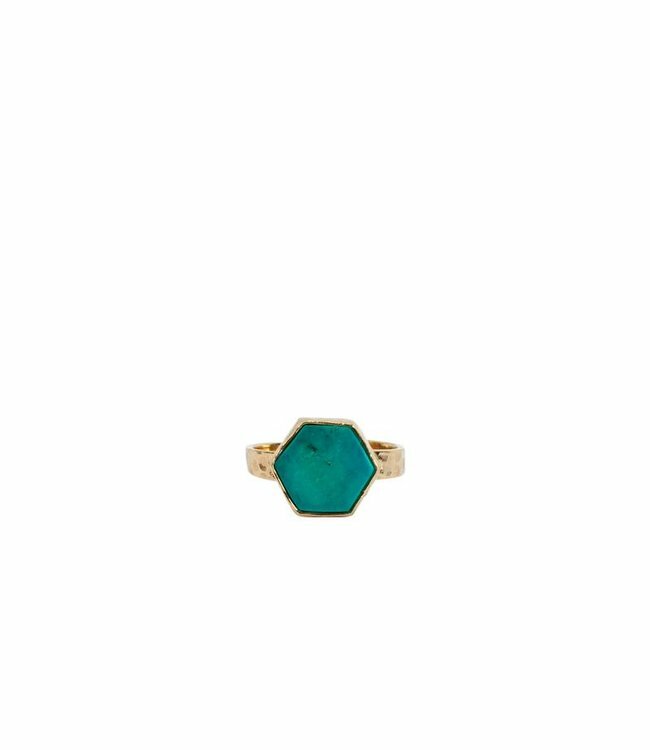 This gold ring 'Delilah' with teardrop turquoise stone is one of our favourite statement rings. It's bold, yet whimsical and ready for your everyday adventures. It features Route508's signature style with rope detailing and teardrop design. 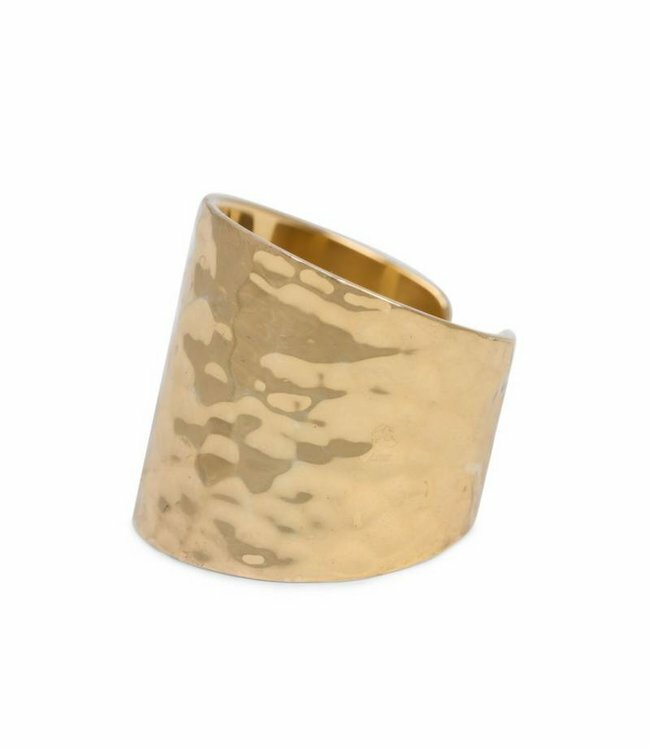 This 18K gold plated ring is handcrafted and finished with hammered detailing to give this ring a bit of an edge. It's boho chic, a bit of romance, mixed with a bold design. The ring has a comfortable and adjustable band and fits most sizes. You can easily adjust it from size 16 to a size 21. The natural gemstone we used for this ring is turquoise and measures 2,5 cm, it's awesome if you like to add a bit of color to your outfit. The Dark green turquoise gemstone is an equisite match with the golden inlays. Turquoise is one of the oldest protection amulets, and was also known as a symbol of wealth in many ancient cultures. If given a turquoise by or to a loving friend, that stone would protect the wearer from negative energy and bring good fortune. The turquoise is the symbol of friendship. It also brings peace to the home. Get this turquoise gemstone Gold Ring before 17.00hr and it will be shipped on the same day. In stock! 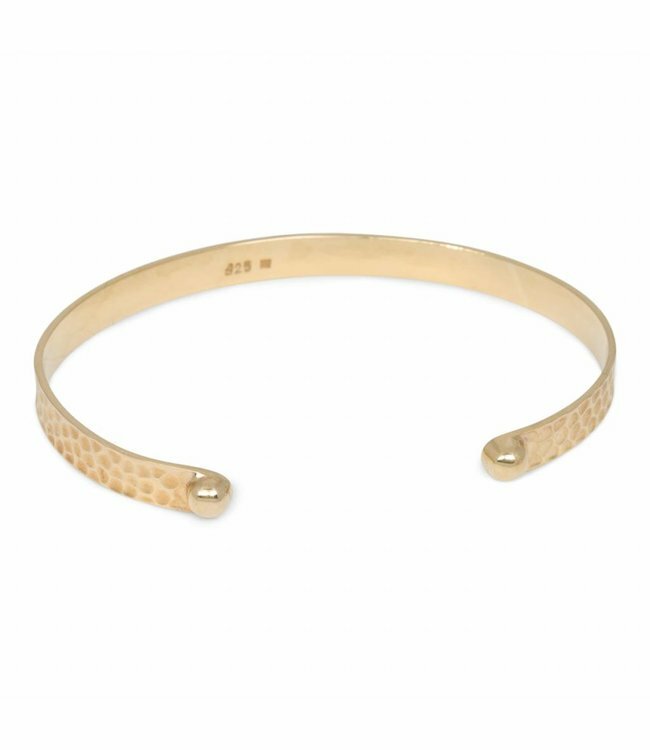 Simple & Chic or rock & roll with this super styli.. 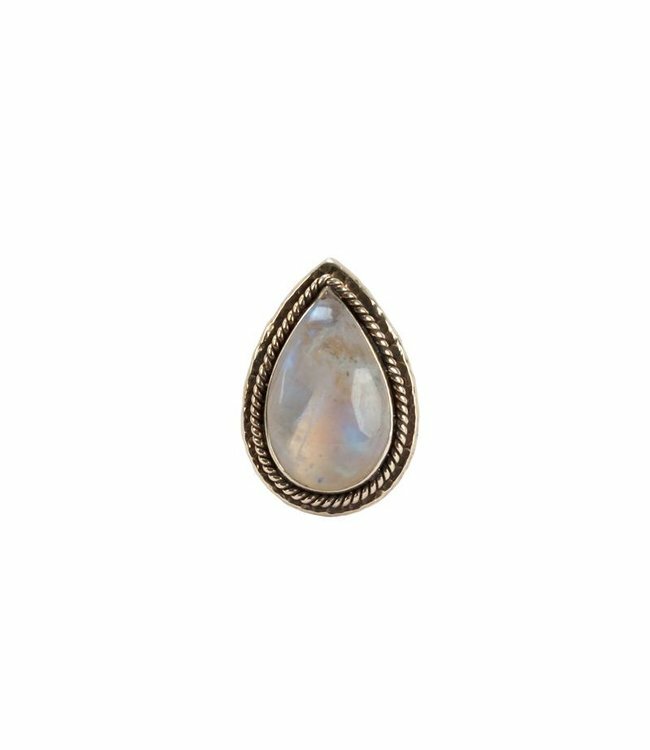 This 18K gold plated statement ring with teardrop Rainbow Mo..